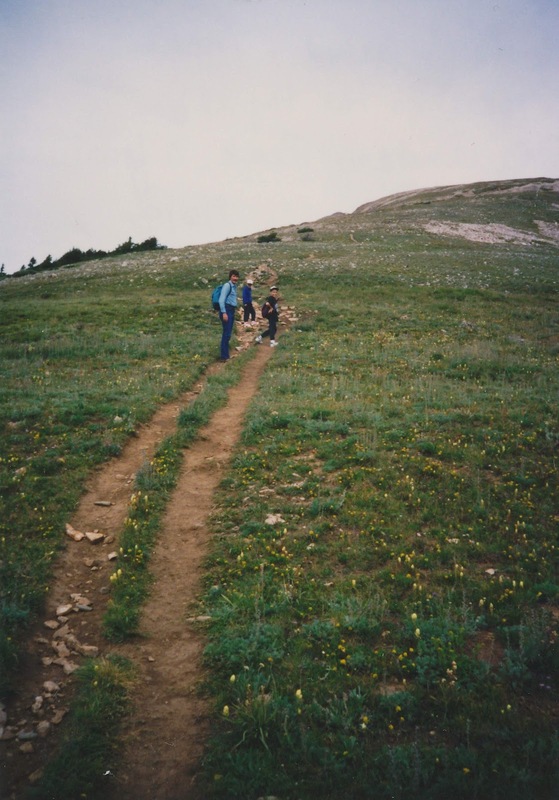 My trip report here is based upon my recollections as I look back at this hike done nearly 20 years ago now. 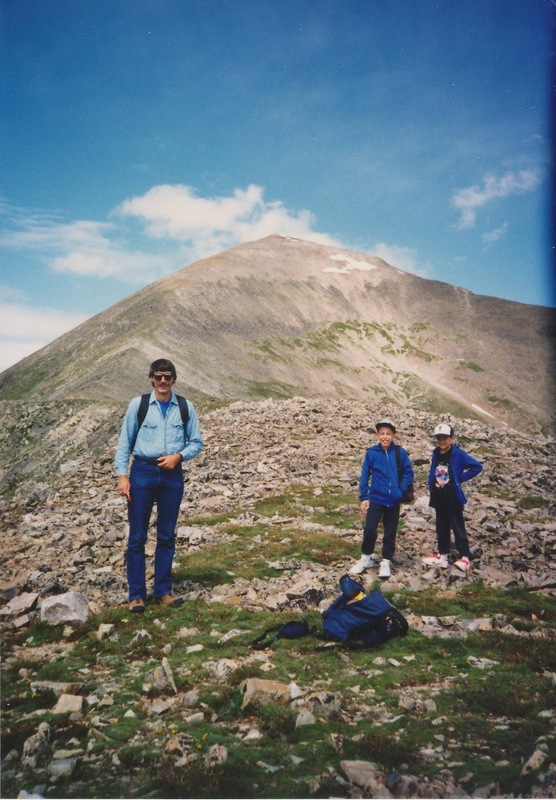 The highlight of Quandary is this was my brother David and I's first 14er. My father Denny had done Mt. 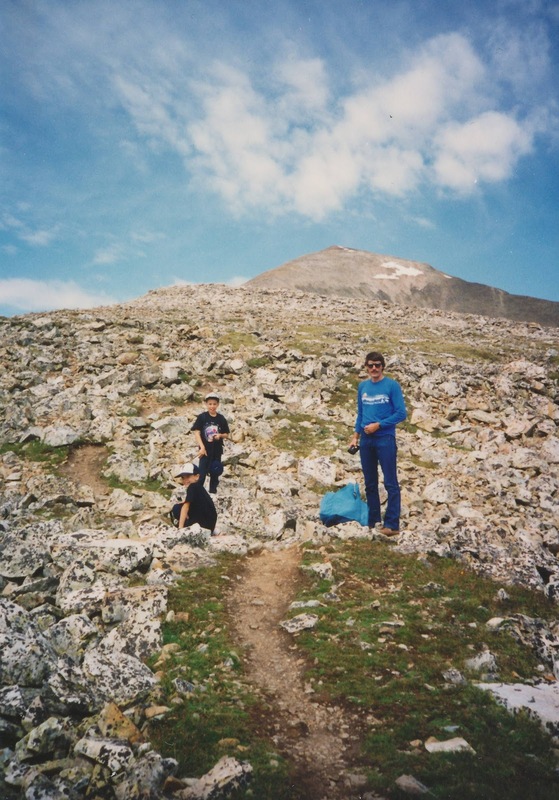 Elbert as well as the DeCaLiBro loop in the past 2 years with his brother getting our family into this joy that is the hiking of the 14ers. Myself being now 10 at the time (and my brother 8) we decided it was time for us to give it a go. 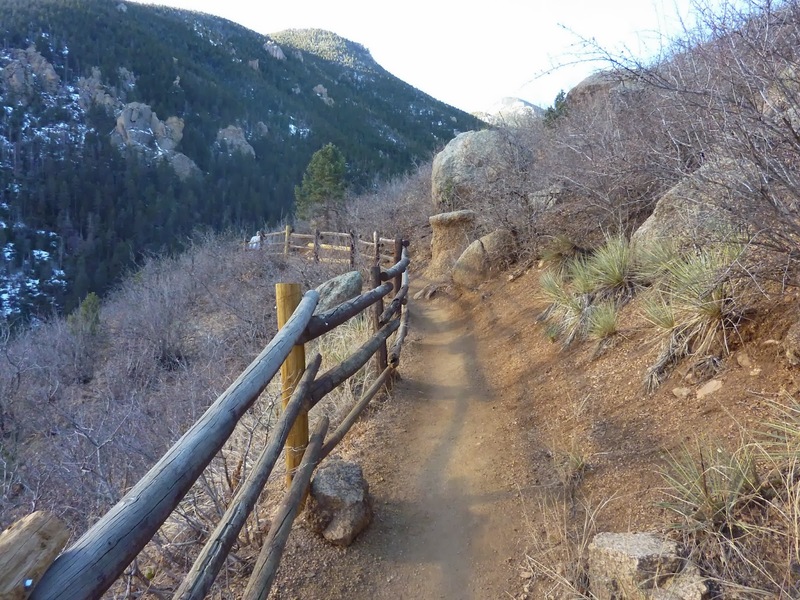 I recall parking along the road and getting ready for the hike. 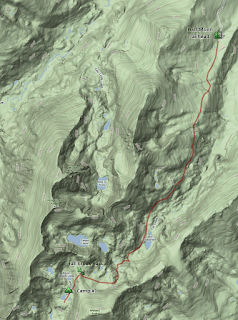 I recall the long slog through the forest as the trail winds its way up to the crest of Quandary's East Ridge. Being our first 14er we were very ill-prepared in terms of proper clothing, food, and gear for these hikes. 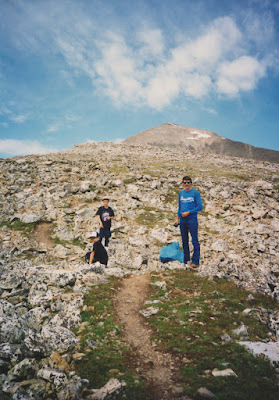 I recall eating starbursts for "sugar energy" for much of the hike, and sadly, I also recall this not sitting well with my stomach later. 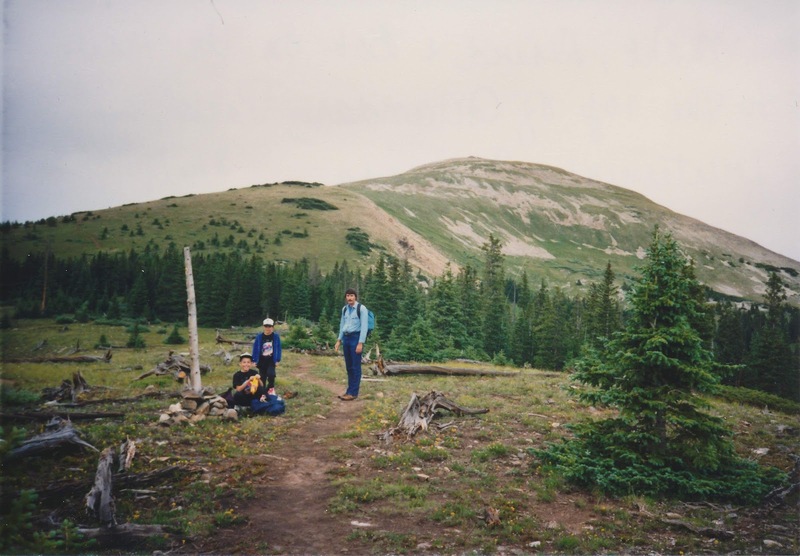 I recall being beaten up pretty good by feeling the affects of the 14,000 foot altitude for the first time. The head feels funny, the stomach feels funny, the muscles tire so quickly. The other big recollection I have from this hike is the weather on our hike down. 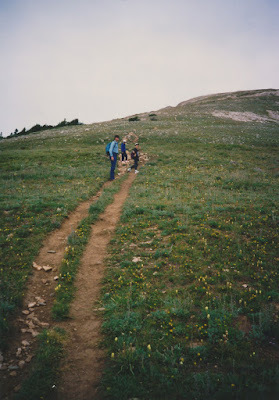 I recall the clouds coming in on us and then the shocker of the day: I recall seeing a lightning strike a few hundred feet in front of us and then seeing the hair on my Uncle's head standing up. Thankfully nothing happened to us, and also thankfully, in my 20 years of hiking this would be the only time we'd ever be that close to lightning. Lesson learned. Though my first 14er attempt was successful and enjoyable along the way, I remember it wearing me out pretty good. But the positives of this won out and I'd be ready to hike another one soon. 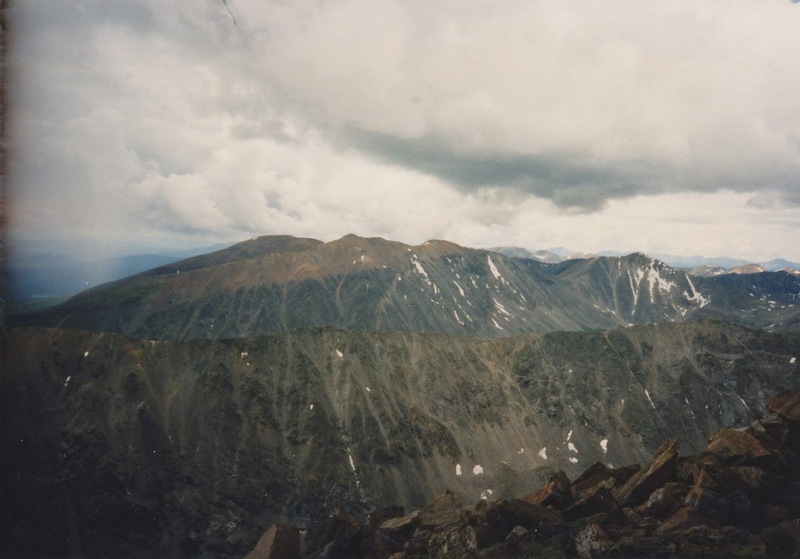 Low on Quandary's East Ridge, the summit is in sight. Near the saddle below the summit. 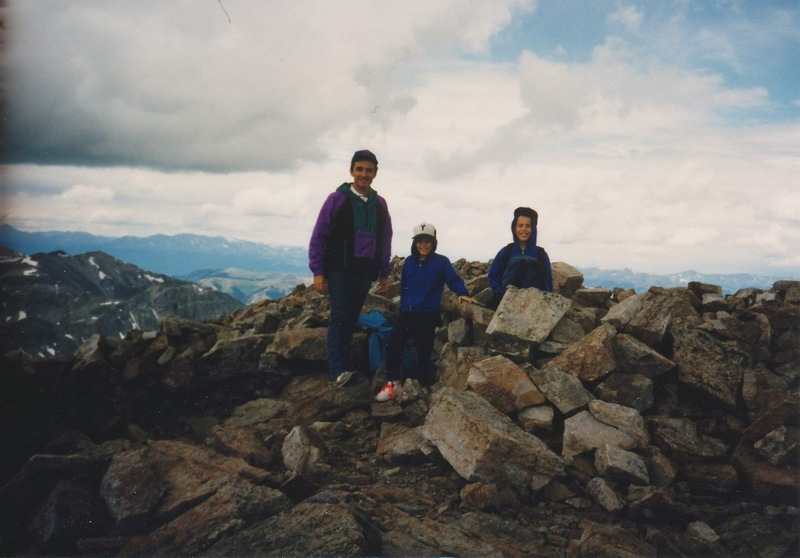 Summit shot of my father, brother, and I.